Originally from Sioux City, Iowa, Mr. Bainbridge received his undergraduate degree in Biology from the University of Iowa in 1999. 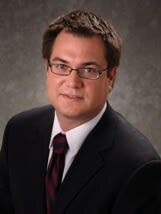 Following his graduation, Mr. Bainbridge entered both the University of Iowa’s College of Public Health and College of Law, concurrently earning a Masters of Public Health and a Juris Doctorate, with distinction, in 2004. After taking the Arizona Bar exam in 2004, Mr. Bainbridge began his practice at a boutique firm specializing in insurance defense, personal injury and commercial litigation. Mr. Bainbridge then joined The Lynch Law Firm to focus his practice on real estate and homeowners association (HOA) law. Over the course of his legal career, Mr. Bainbridge has obtained multiple successful settlements, jury verdicts, arbitration awards and judgments for his clients and has consequently created a reputation for himself as a thorough and experienced legal practitioner. Mr. Bainbridge is the founder of The Bainbridge Law Firm. He is licensed to practice in Arizona, the United States District Court of Arizona and Oregon.